The tour will start from your hotel in the morning around 8:30am and will drive you along the National Route Nº 3 towards the lake district to reach Garibaldi Pass from where we will be able to see our targets: Lakes Escondido and Fagnano. At this point, the panoramic view of the lakes Escondido and Fagnano calls for the first photo stop. Unbelievable! You will then continue along National route 3 by Aserradero Bronzovich, where we take a secondary route. This is the beginning of the off-road journey. A path takes us to the coast of Lago Fagnano (Lake Fagnano) where, in a strikingly beautiful forest, you will be served a breakfast of coffee or tea and typical cookies. 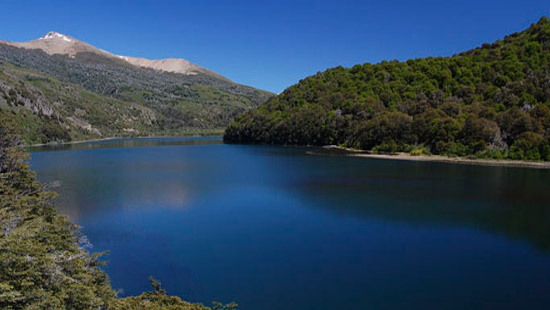 Before arriving at Bombilla Lake, you can walk around the coast for about 1 hour, up to a refuge on the border of the lake. Those who would like an easier option could go on inside the vehicle. In the refuge, you will enjoy a traditional lunch of cold cuts, cheese and asado (meat grilled in a traditional way), drinks are included. This place is rustic yet comfortable, with some of the best views of Tierra del Fuego. After lunch, you will have time to walk, enjoy the area or sit around the table with your friends. 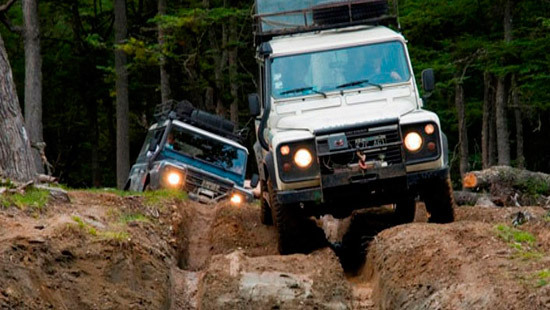 You will then go one off road up to the old Route 3, which borders Lago Escondido (Hidden Lake). At its head, you will find the Hostería Petrel, our last stop, and an ideal place to walk, drink a coffee or merely enjoy the beauty of the place. After this stop, you will return to Route 3, back to Ushuaia. 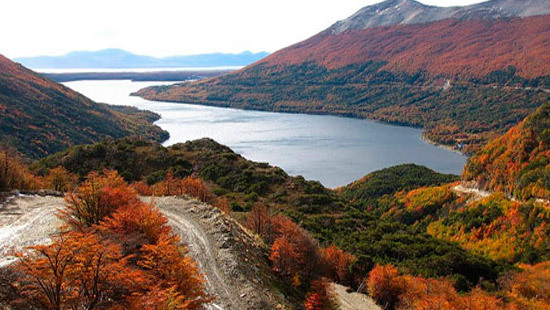 These lakes are located in the heart of the island of Tierra del Fuego and they are one of the unmissable tours when visiting Ushuaia. Escondido Lake is located 60 km. north of Ushuaia right in the other side of the Fuegian Andes, it is a beautiful lake located at the foot of the Paso Garibaldi, from which has one of the privileged vantage points. So Paso Garibaldi is reached by National Route No. 3,passing the main ski resorts on the island. From there you move about 4 km. through a gravel road which is the access to the lake. From there you can hike through the mountains surrounding the lake. It is also a fishing site. To get to Lake Fagnano which is located about 100 km. 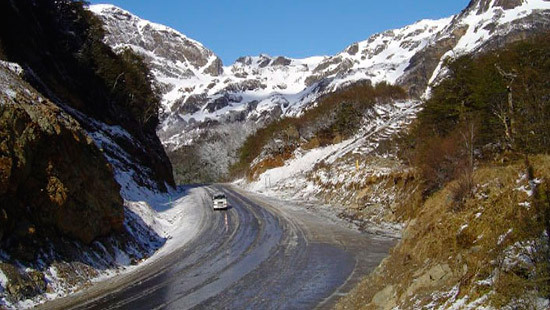 north of Ushuaia, continue on National Route No. 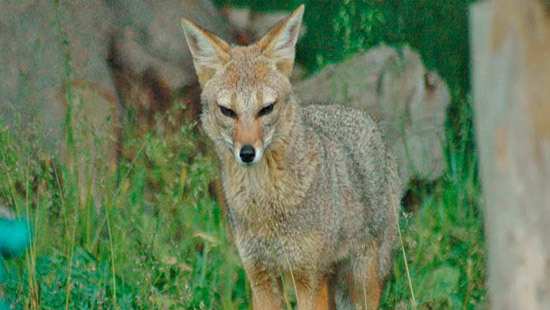 3, to a sawmill area, until you reach the lodge Kaikén, in the eastern head of the lake. The lake Fagnano is, by extension, one of the largest in the world. It also has a very special feature: for the center and along it lies the Magallanes fault, where plates meet in South America and the Scotia, on which rests Tierra del Fuego and Antarctica. The forests in the mountain ranges surrounding these lakes are primary, ie not modified by human hands. For these two lakes you must have an entire day. 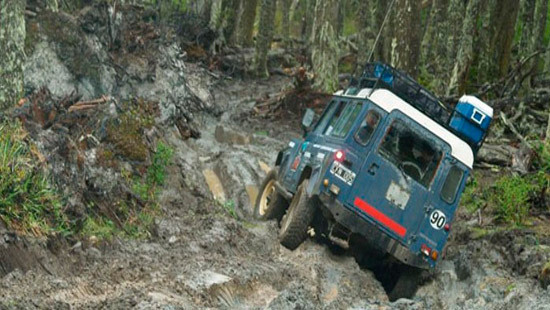 You can not do this tour on your own, in your own car, as the roads have major difficulties, it will better you choose to hire one of the commercial versions, which include tours in 4 × 4, lunch or snack and other activities. For instance the one we are offering you in this page is ideal for visiting this area without any problems since we have expert tour guides. NOTE: This is an optional tour for the tourists that have booked already any of the tour packages in Patagonia Argentina with our travel agency. We don’t offer this excursion separately. So you can request us a quote for any of the following tours adding this full day excursion.